What "good Kathy" didn't do was believe the web site. Nope. Didn't think they had the right information. And, yes, today is Wednesday and I knew that when I drove to the dump. We shall consider today a tarp testing trial run, okay? 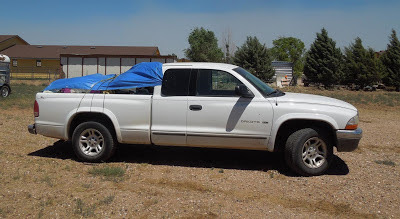 And, at least, the truck is all loaded for a journey tomorrow morning when, hopefully, there will be less wind. By the way, the tarp worked just fine. I knew you wanted to know. In the meantime, look what I rescued from the dump! Well, actually, I didn't go dump picking - I just didn't throw away this pair of jeans. Well, and to further clarify, these aren't really jeans - at least not any more. This is my awesome purse which I love! It has a very cool outside pocket - and one on the inside, too. Want to know how I made it? I bought a 25 cent zipper and cut pieces of the jeans and sewed them together until they looked like a purse. Happy recycle, upcycle, redo, reuse, or re whatever - this is my ready-to-go hold everything cowgirl saddle bag. Ye haw! And it is a perfect answer to the Blogging Business Artisans challenge for June! "June- AntiquityTravelers - June is a month for weddings. But how about a bit of twist on the saying "something old, and something new" .... does anyone 'upcycle'? How do you take an old item and make it new? How about reworking an antique? Anyone do steampunk? how about quilting with fabrics from clothing that has memories to you? ... any other ideas?" How about them road apples? Some road apples are better than others. 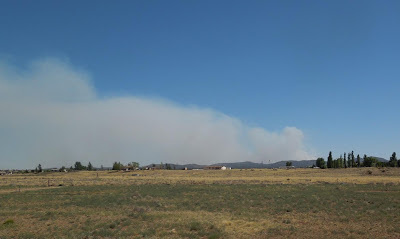 We have a few roads closed around the Prescott area due to the Doce fire. I can see it from my front porch, though it is about 35 miles away. Please be praying for the firefighters and the people in that area. 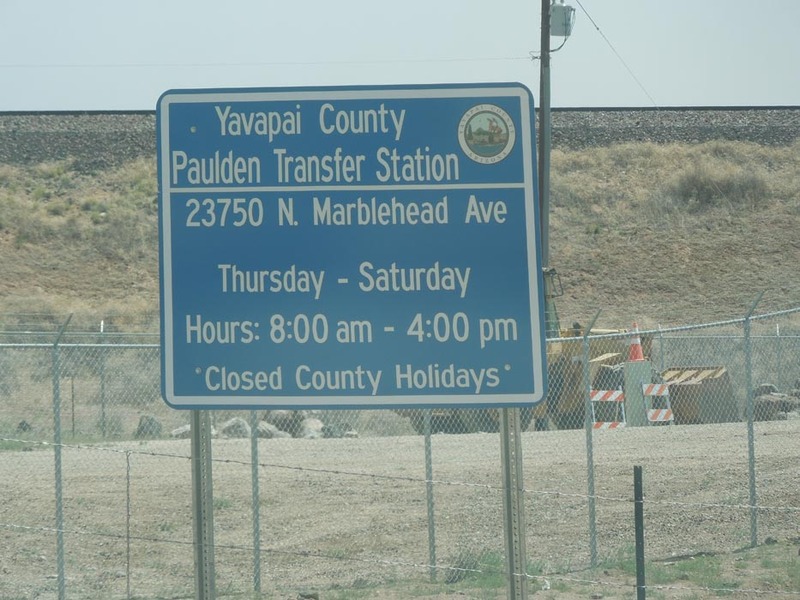 Current information about the fire can be found on the Yavapai County Emergency Management website. PS My zipper pull says "got Jesus?" I do and I am really glad that I do! There's nothing wrong with those practice runs. Oh, love the purse! 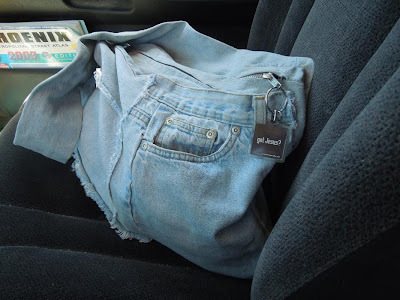 I LOVE the upcycled jeans purse!! Doh. Sorry you missed yours, too. What a cute purse! Hope you were finally able to dump your stuff at the dump! :) Sure hope the fires are controlled soon! They are working very hard up there - 10% contained, no loss of life, no loss of structures. Wow - That's a great purse! 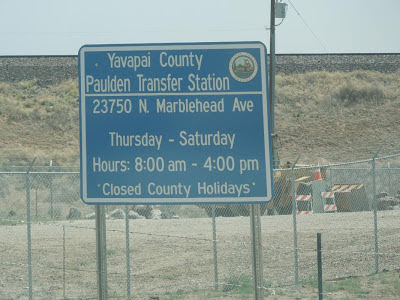 I hate driving to the dump to find it closed! That has happened to me. Your purse is so cute! I love that you "sewed the pieces together until they looked like a purse" -- too funny! I make lots of booty bags - I LOVE them and they are nearly indestructible. I remake, reuse, redo nearly everything! My prayers are with you and everyone near the Doce fire. Take care, my friend! Thanks for the prayers! Smokey here, but doing okay. Fun purse! I'm definitely keeping those firefighters and residents in my prayers this week. Love your old jeans "saddlebag" purse!! Praying the fires get under control soon. 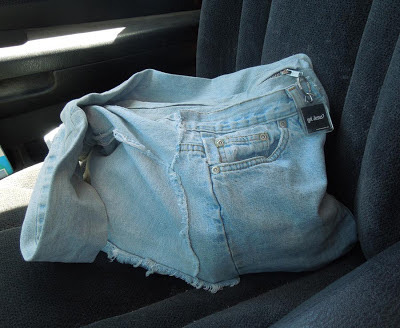 Funny story about your would-be trip to the dump, but what a great way to recycle those jeans into a practical bag! This is one of my all time favorite purses and I plan to make more. 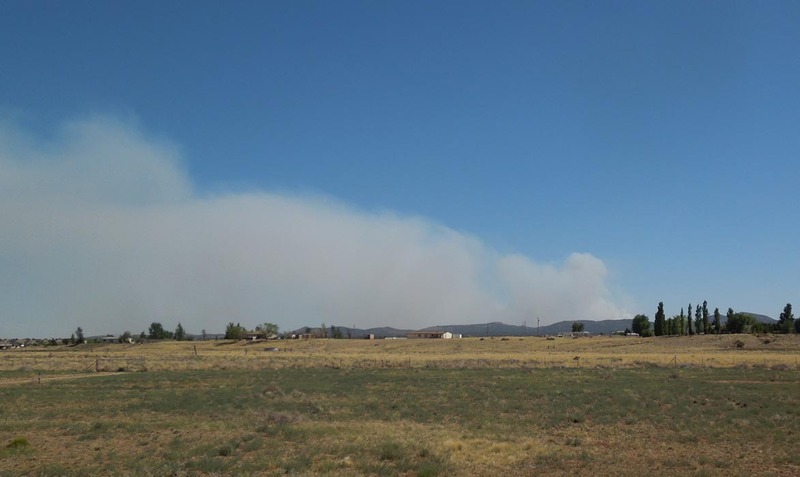 70% contained as of today with the report that they expect it to be 100% contained by tomorrow. God bless those firefighters! Oh no... hate getting places to find they are closed. Cool purse! Love to see items recycled! Hoping to hear the fire is contained very soon! Thanks! It is fun to see how people will reuse things. Hopefully today! God bless those firefighters!